Makeup is Delicious!! : Maybelline SuperStay Stain Gloss Review! 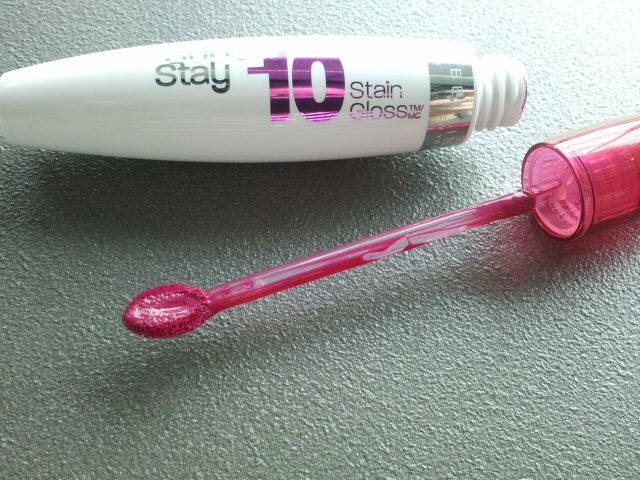 Maybelline SuperStay Stain Gloss Review! Hi loves!! I have been seeing advertisements EVERYWHERE for the Maybelline SuperStay Stain Gloss 10 hour lipstain. It looked interesting so I decided to give it a try. The verdict? I love it!!! Maybelline SuperStay Stain Gloss 10 hour lipstain in "Fresh Fuchsia"
First, I would like to bring attention to the brush applicator this product has. I really enjoyed it compared to other "marker-style" lipstains I've tried. In my opinion, drawing the colors on to your lips with a marker is odd!! 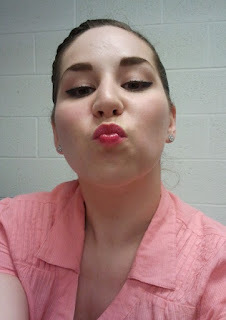 The brush applicator allowed me to easily and precisely color my lips. Secondly, I really enjoyed this product's smell. This lipstain has a fruity scent, almost like sweet fruit punch. Very delicious. Now let's discuss staying power. The product claims to last on your lips for 10 hours. I first applied it in the morning, then ate a banana and a sandwich, and the color was still perfect!!! However, as the day progressed the color began to fade. 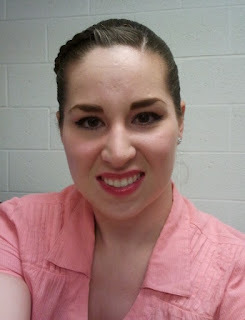 It did fade envenly, making it look like I was wearing a different shade of lipstain. I love this because there is no need to be constantly checking your compact mirror. The product will fade but in a flattering way. When first applied, the lipstain has a glossy finish. However, once it fades the finish becomes matte. My lips did not feel dry at any point, even once it began to fade. I definitely reccomend this product!! It is the best lipstain I have tried so far. I love lip stains as long they don't dry my lips. Nice review. I follow u, dear. My name in GFC is: sexy_paige_cucu. A lot of kisses, honey.